Throughout my years in America I have been insulted by so many people, in so many ways and situations, by people I know, are close to me, and by complete strangers. But no one has insulted me as much and as persistently as Thomas Friedman. 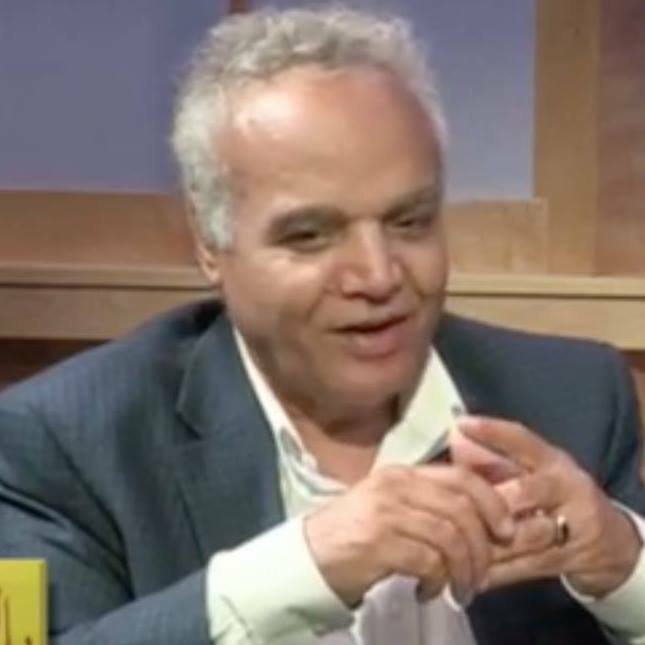 The New York Times foreign affairs columnist, winner of three Pulitzer prizes and writer of several bestselling books, has been fixated on the Middle East and carries the white man’s heavy burden to civilize Arabs and modernize Islam. Friedman never ceases to amaze us with a new theory, a ‘big idea’ to explain Arab minds and Arab souls every now and then, from the bizarre to the ridiculous, from the burger war to the olive war theory explaining the conflict in the Middle East. Thomas Friedman also has a knack for ignoring history, facts, and socio-political realities; he can reduce a complicated social issue to a soundbite and a sixth-grade essay. His big ideas are largely based on anecdotal personal experiences, a friend, a trip, or a hotel bar conversation. As Belén Fernández articulated in her book “The Imperial Messenger” how the Times columnist has been the voice of American military and global expansionism and adventurism abroad. Through his style of writing, Mr. Friedman is a reductionist at best who shows his disdain to the complexities of people and history to stereotyping racist fabrications at worst. “Friedman’s intermittent reliance on infant terminology to analyze parts of the Arab/Muslim world…one manifestation of a tradition of unabashed Orientalism that discredits Arabs and Muslims as agents capable of managing their own destinies,” she explained. His biggest insult to Arabs and Muslims is demonstrated in his crusade to transform the Arab/Muslim world in the last 20 years, as researched by Belén Fernández. Enjoy the ride! *“…Give War a Chance,” in supporting the invasion of Iraq. The Imperialist messenger doesn’t give up and his discredited ideas never stop him from coming up with another one. Now he has come up with another big idea explaining the Arab Spring which is not so much based on or is a result of research and hard work but it all came to him during his flight to visit the 32-year-old crown prince M.B.S as he is now known in the western world. Friedman went to meet his match, another man who has nothing but big ideas so far. “A lawyer by training, who rose up in his family’s education-social welfare foundation, M.B.S. is on a mission to bring Saudi Islam back to the center. He has not only curbed the authority of the once feared Saudi religious police to berate a woman for not covering every inch of her skin, he has also let women drive.” Friedman praised the man who is responsible for killing and starving thousands of people, mostly women and children in Yemen. “The most significant reform process underway anywhere in the Middle East today is in Saudi Arabia”…“Yes, you read that right,” he assured his readers It is no surprise that arguably the most influential newspaper in the world gives that much space to tabloid journalism of Friedman’s infantile analysis. The Times has been appeasing the monarchy since its foundation, as was listed by Georgetown historian Abdullah Al-Arian in a series of tweets. 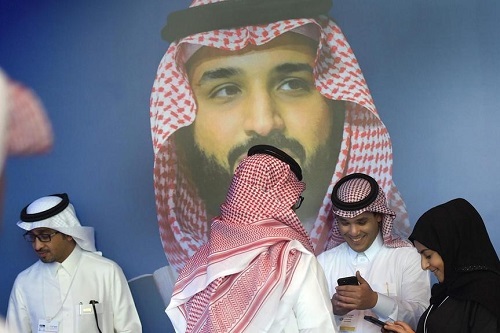 “Unlike the other Arab Springs — all of which emerged bottom up and failed miserably, except in Tunisia — this one is led from the top down by the country’s 32-year-old crown prince, Mohammed bin Salman” Friedman explains! But wait he had another theory explaining the Arab Spring, right after it broke up in Tunisia Egypt then illuminated by Tahrir Square, images of millions of Egyptians demanding the toppling of the Mubarak regime. Friedman came up with his theory to explain it, another big idea – an idea that is so outlandish and out of step with history that it nearly takes your breath away. In the article titled, “Did Dubai Do It?” he remarks, “Dubai/ UAE is the capital of the Arab Spring — the real revolution started here.” He goes on to explain, “The Arab awakening did not start because they wanted freedom and democracy. It started in the mind of the average (Arab) who the saw the evidence in Dubai that we could do things that are hard, and we could do them world class (like Dubai Ports and Emirates Airlines).” According to Friedman, it wasn’t the years of Mubarak, Ben Ali, Gaddafi, Salah, and the Bashar dictatorship that sparked the awakening of democracy after all. As a journalist, I attended three “One Million Man” marches in Tahrir Square, and at each event, I never saw one sign for Dubai, the Emirates, or even one chant expressing the right to have a fine, clean airline; the right to have clean bathrooms, maybe. Of course from an orientalist mindset, Mr. Friedman believes he can understand Arab minds more than Arabs themselves. Based on Mr. Friedman’s thinly veiled racist analysis and oversimplification of Arabs and their struggle, we can surmise that he thinks Arabs don’t aspire for freedom and dignity, like in the west, but rather, they want malls, iPhones, and luxurious airliners. Mr. Friedman may be confused by the fact that Dubai didn’t really inspire the Arab revolution, but rather has inspired an Arab dictators’ counter-revolution, punctuated by a fascination of putting their names on buildings and cities. The Saudi and El Hashimy families named the whole country after themselves. In Egypt we have Nasser City, Saddat City, Mubarak disaster city and now General el-Sisi moving Cairo capital city away from Tahrir Square. Writing in the Egyptian Observer, the academic and Cairo native Khaled Fahmy argued, the glistening Gulf metropolis fascinates Egypt’s authoritarian leaders.” According to Gulf Business the United Arab Emirates government has apparently pledged almost $4 billion in aid to Egypt; in turn, a major part of the new city is expected to be named after one of the UAE’s leaders. Maybe what inspired Mr. Friedman’s article is the magnificent Ritz Carlton hotel in Riyadh, Saudi Arabia and not so much the crown Prince M.B.S., who has so far failed in all his big idea projects, inside and outside Saudi Arabia.